Autonomous vehicle systems have received a great deal of attention from car manufacturers, consumers, policy makers, and the media as they offer societal, environmental, and economical benefits. However, prolonged exposure to these systems may lead drivers to adapt to the systems in ways not anticipated by the designer; resulting in unintended safety consequences. To explore this issue, I designed a longitudinal driving simulator study to evaluate behavioral adaptations to an active lane keeping system. In this study, I compare performance before, during, and after exposure to the semi-autonomous system. Using generalized linear mixed models, I model changes in driving performance, cognitive workload and eye glance behavior. Using cluster analysis techniques, I examine the effects of trust in automation on these behavioral adaptations. I then discuss how moving forward with this approach can help future system designs and training programs support appropriate use and attention allocation. Erika Miller is a PhD candidate in the Department of Civil and Environmental Engineering at the University of Washington. She also has a research appointment with the Industrial and Systems Engineering department at the University of Washington. She has an expected PhD completion date of Spring 2018. 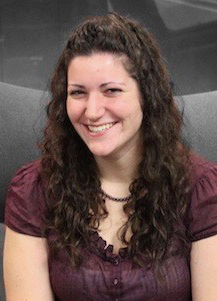 Erika’s research interests include analytical methods in the interactions between humans and transportation systems; particularly in terms of autonomous vehicles and connected infrastructure.